Announcement ***Most of our masks are ready to ship and will go out within a day or two. International buyers: Please be aware that if buying outside of your own country, your government may charge you a customs fee. We also sell wholesale to retailers. Email us for information. 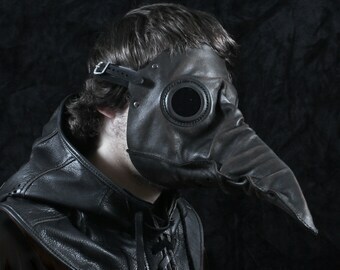 ***Most of our masks are ready to ship and will go out within a day or two. International buyers: Please be aware that if buying outside of your own country, your government may charge you a customs fee. We also sell wholesale to retailers. Email us for information. 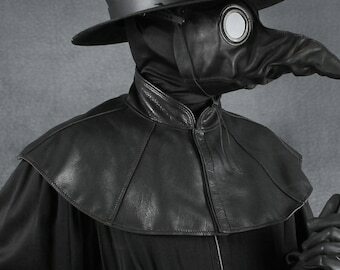 Plague Doctor mask in white leather "Schnabel"
This mask is magnificent! I tightened the cord just a bit - not too much because I'll be wearing it over a red-orange-yellow ombre wig, as part of a costume called Phoenix Risen. 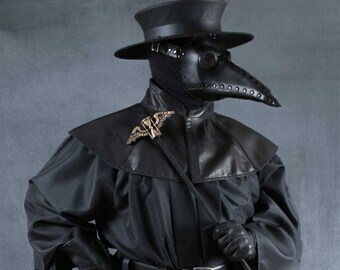 It matches the wig perfectly, and I expect to get lots of compliments on the mask. You do such excellent work! Thank you! Fantastic mask! Super quick shipping! Thank you! Just listed! 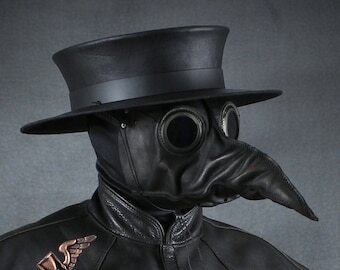 Our latest plague doctor topper! The "Flying Skull"! Cyber Monday sale! Everything in the store is 10% off! Use coupon code Cyber2016. 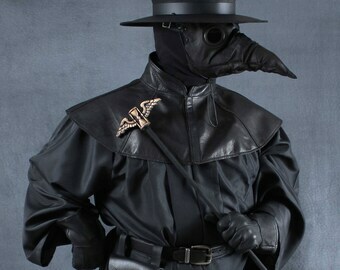 Our plague doctor hat and mask Maximus won a Halloween contest! In my creative leatherwork I draw on my experience with resin and incorporate resin components into my steampunk artwork, and the combination of materials gives a richer look than I could achieve in either material alone. 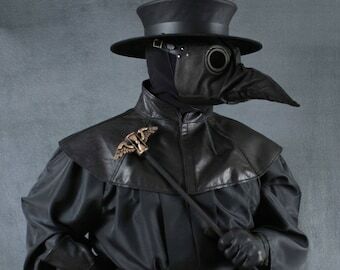 Today I find my greatest creative expression in fantasy masks. 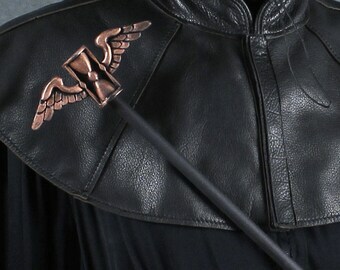 I love experimenting and seeing how leather behaves when cut and soaked and twisted. I love the shapes and the colors, and how my masks and helmets can instantly transform the wearer into a whole other character. My studio is in the small rural town of Penn Valley, in the foothills of the Sierra Nevada mountains in northern California. Welcome to our shop. Here are our shop policies. Feel free to write us if you have any questions. All sales are final. If you are unhappy with the item please contact us and we'll try to work something out. All claims must be made within 14 days of delivery. We accept PayPal and all major credit cards. Buyers from California will be charged 7.5% sales tax. Buyers from Washington and other states that require sales tax collection will also be charged sales tax. We ship most orders by Priority Mail, and usually orders are shipped within within a day or two. Orders shipping outside of the United States can take two to four weeks or longer. We have no control over how long customs may hold your package. 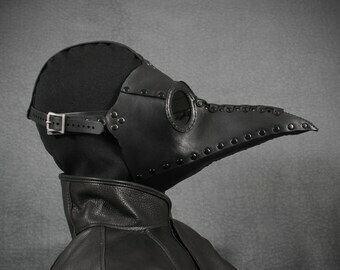 The leather masks are quite durable. When storing them, keep them in a cool, dry place out of direct sunlight. The worst enemy is water, as the masks will soften and distort when wet, so don't wear them in the rain, in the pool, or in the shower. Heat will dry them out and make the leather crack. No regular maintenance is required. If they become soiled, wipe with a soft cloth.